Being pooch obsessed means you are always looking for pet-friendly places to bring your doggos in Birmingham. Did you know these places are the epitome of pup-friendly? Come out and enjoy this beautiful weather in our outdoor patio! If not today come out tomorrow for the 2nd annual food truck rally here in Avondale! Sushi and your furry friend. What more can you ask for? You can add Wasabi Juan’s to your go to spot when it comes to hanging out with your pooch. Their burrito-style sushi is also not one to disappoint. So if you are craving some quality time with Fido and a sushi filled outing, Wasabi Juan’s is your place. Fun Fact: you can also grab a beer from their friendly neighbor, Avondale Brewery, with your meal. 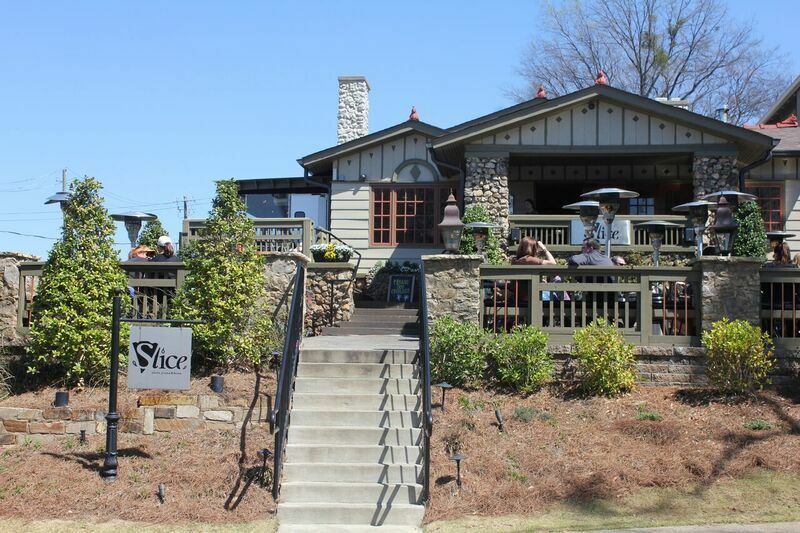 The Filling Station aka the “Best Patio in Bham,” is a staple in the Crestwood community. Great pizza, global craft beer, and puppy loving patrons are just a few things that keep people coming back for more. If you are wanting to enjoy some fine Italian cuisine with your furry friend this place is definitely worth a try. Since 2014, Big Bad Breakfast has been serving up quite an amazing breakfast, brunch and lunch. But did you know, this family-friendly spot also loves your pets? With a large patio and great food, this might just become your go to brunching spot for your entire fam, paws and all.